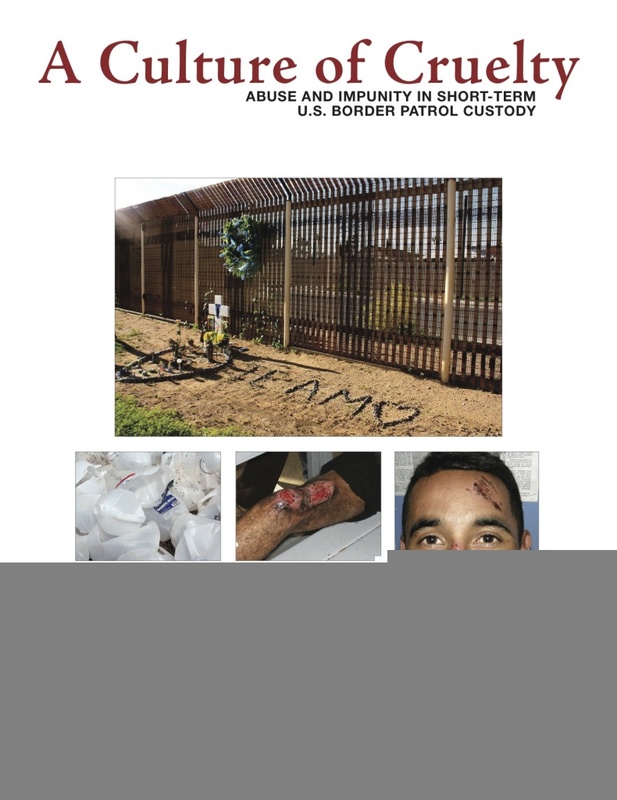 A Culture of Cruelty, published in 2011, is the culmination of three years of abuse documentation collected and carried out by No More Deaths and our partners in Naco, Agua Prieta, and Nogales—border towns and cities in the Mexican state of Sonora to which thousands of immigration detainees have been deported. In our years of documenting abuses committed by the Border Patrol against detainees and migrants, we have found that instances of mistreatment and abuse in Border Patrol custody are not aberrational. Rather, they reflect common practice in an agency that is part of the largest federal law-enforcement body in the country, Customs and Border Protection. Many of them plainly meet the definition of torture under international law. 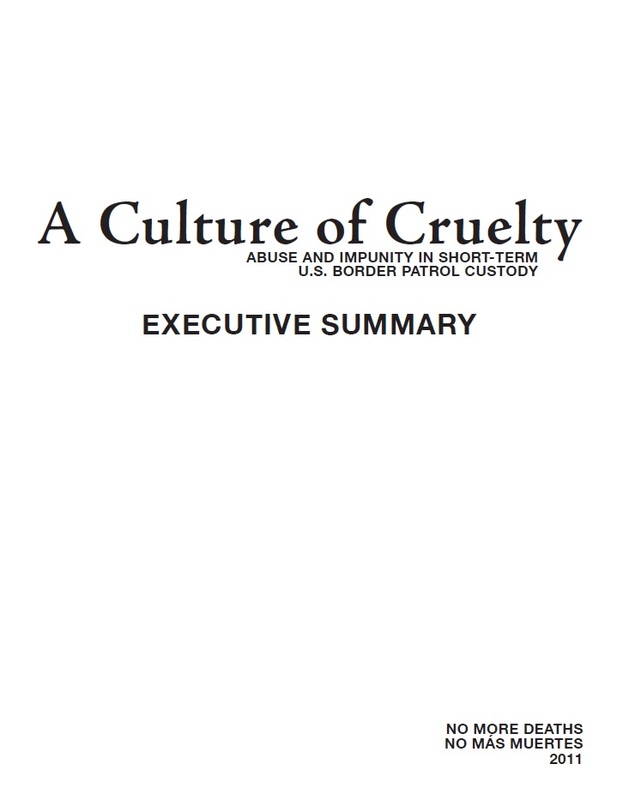 We have entitled our report A Culture of Cruelty because we believe our findings demonstrate that abuse, neglect, and dehumanization of migrants is part of the institutional culture of the Border Patrol, reinforced by an absence of meaningful accountability mechanisms. This systemic abuse must be confronted aggressively at the institutional level, not denied or dismissed as a series of aberrational incidents attributable to a few rogue agents. Until then we can expect this culture of cruelty to continue to deprive individuals in Border Patrol custody of their most fundamental human rights. 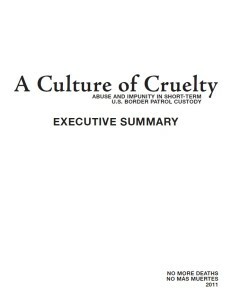 You can read and download the full report, or just the executive summary, in PDF for free. Our goal is to share this information as widely as possible. To purchase hard copies of the report, please visit the Peace Supplies web store. These purchases help us continue the important work of abuse documentation. There is also an online-only appendix of official documents related to the report.